Those family and friend cards are awesome. Love this stamp set. Great cards. I love the Open Book set. It has some really nice sentiments to go with it too. Cards are all beautiful. Can't pick a favorite. Love your cards! Today and Always cards are spectacular! Beautiful cards and love the uniqueness and the colors used! WOW! I love the plaid tablecloth, I was hoping too see someone do that! 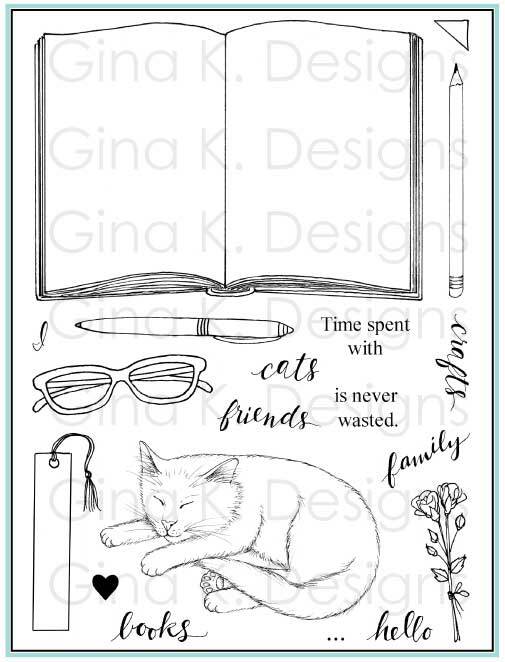 I intend to make some cards putting the cat on top of designer paper to change up work surface, but masking and using a background stamp turned out great! I need to dig mine out and experiment. Beautiful cards and loving the stamp sets! Love the flowers, colors are gorgeous. Loving the glasses too. Love your plaid tablecloth! So inspiring with the many different ideas. The flowers as a frame is really pretty. I've never thought to do that. I need to get out more! Your cards are so amazing! I love them all very much! The diagonal stripes card is eye catching. Just gorgeous! OMG, the cards using Lisa's new set are fantastic! Love your cards! Lots of ideas! Thanks for sharing! 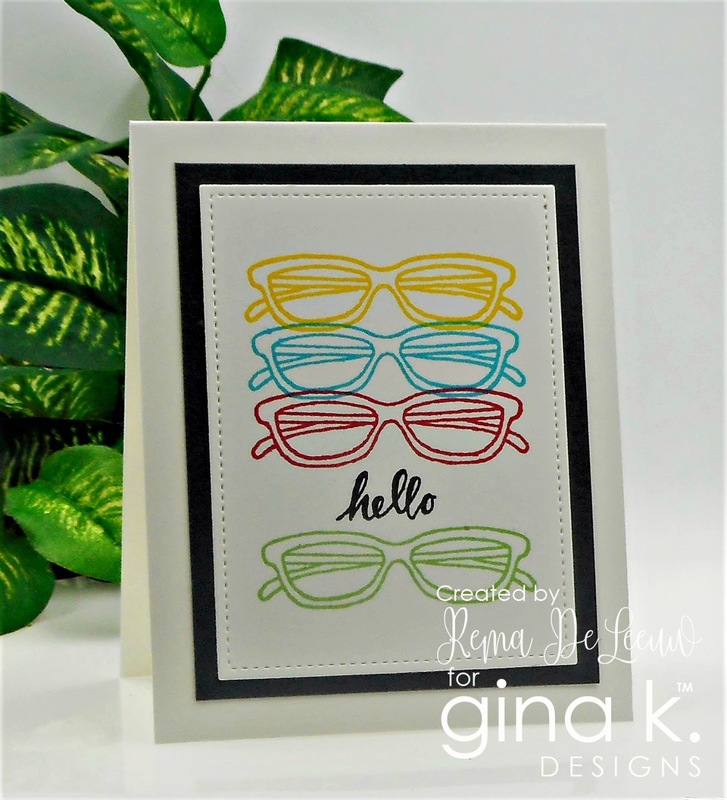 I love the card with the glasses! Wonderful cards. The glasses one is awesome. Thanks for sharing with us. Great cards. I like the glasses one. Thanks for sharing! Beautiful cards! I can hardly wait to get my set and start working! All your cards are beautiful Rema. My 2 favorites are the first one with the cat & flowers and my second is the last card, Make Today Amazing! Your cards are so colorful! I really like the partial background of diagonal stripes on the hello card. Thank you! V-8 moment: use background stamp! Love it, thank you! Beautiful!. Great ideas using both stamp sets. Your cards are all so gorgeous! I love the way you used the stamps from these sets. Very inspiring! Beautiful cards. Very pretty. will have to CASE some. So many pretty cards. All are outstanding but the cat is my favorite. Love this stamp release! Your cards are amazing and so inspirational. Thanks for sharing! Love your cards. The flower cards ideas are beautiful. The cat and Daisy card is so cute. The flower cards are pretty. Nicely done!!! Rema, I liked all of your cards. The cut out flowers were a nice touch. I also liked the little square note cards with the pink and sea glass colored edges. Great samples. I love the cat on the plaid rug. Your flower cards are gorgeous. Thanks for the great inspiration. Terrific card ideas - I love the sleeping kitty. Your designs are colorful and intriguing. Thanks I like your style. Such wonderful cards! I love your designs. Always Love your cards and these are wonderful. Wonderful cards. 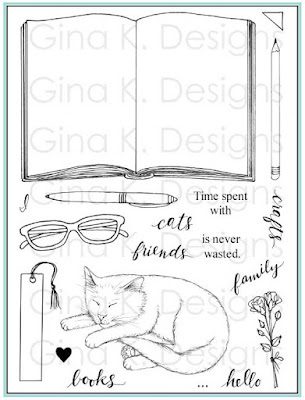 I love the beautiful cat in the Open Book set and the sentiments are perfect. I especially love the Today and Always set and the gorgeous projects showcasing it. So many ideas; so many ways to use the same stamp to look so different from itself. Enjoyed all your cards. Thanks for all the ideas! I love the cute cat cat! Super cute! Love what you did with the glasses. All the cards are really nice, thanks for sharing. Beautiful cards. Inspired by your style. Such pretty cards!! I am gushing over the sunglasses!! All your cards are lovely! I was especially drawn to the cat one and the blue flowered one. Great cards and bright colors! Wow! Every card is amazing! 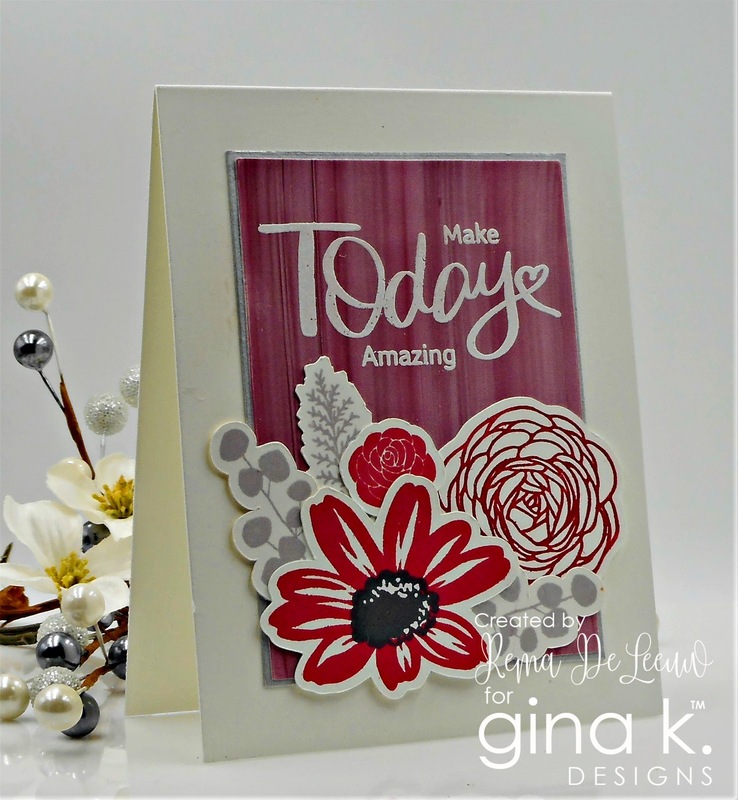 This blog hop has been so inspiring! Such lovely cards! The cat is so sweet! 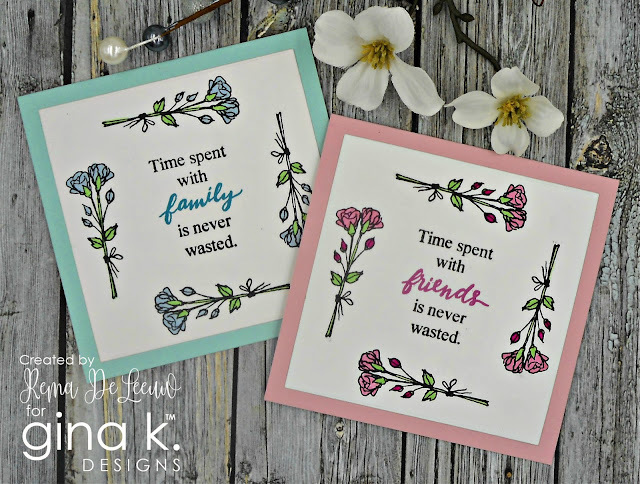 Beautiful cards, Rema! Love them all but your square family & friends cards are my favorite! I enjoy your card style and color choices. Thanks for the inspiration. Love your kitty!!!! Your flower cards are just beautiful, too! Wow, what a fantastic collection of cards! Happy, sweet, pretty and just plain wonderful. 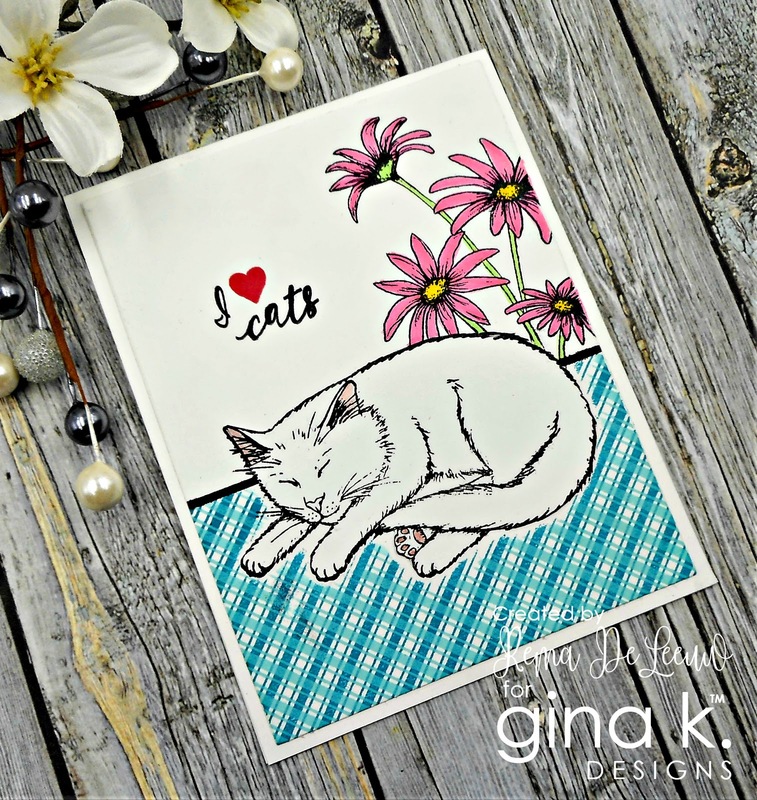 love the flowers behind the cat...also the beautiful colors of your floweed cards!!! awesome!!! Rema, as always fantastic cards!!!! Colors on all cards are great. I love all of your layouts! Love your cards! This release is so inspirational! Awesome cards! Love that sweet kitty and the beautiful flowers! 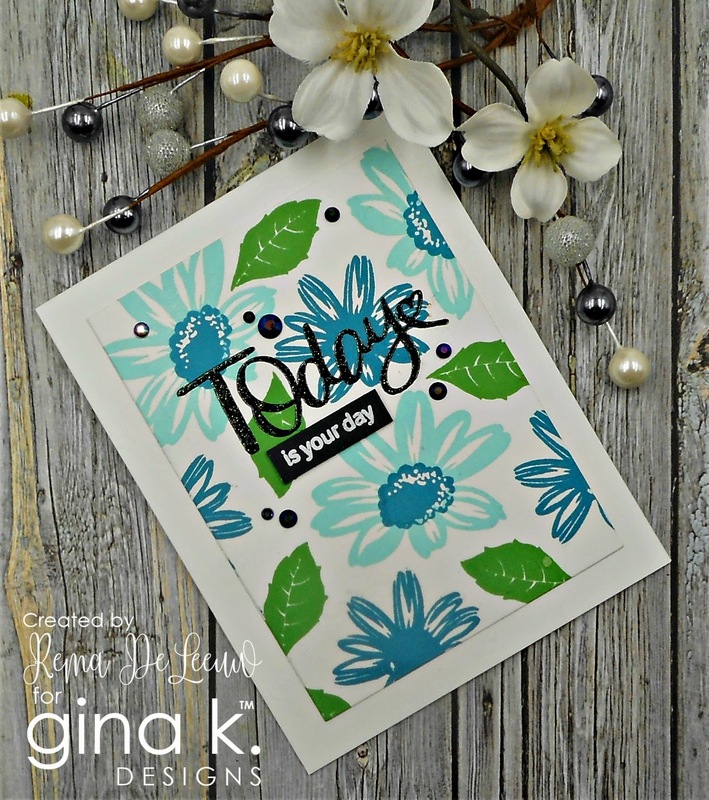 Super sweet card!s Love this new release! You always have such great ideas! I can't pick a favorite. I tried, but I just can't!!!! Your cards are beautiful! Your cat card is so cute! I love the florals with the diagonal background, just the right added touch! Thank you for so much inspiration!! Beautiful cards, I love the kitty. He/she looks so real and just darned cute! TFS! 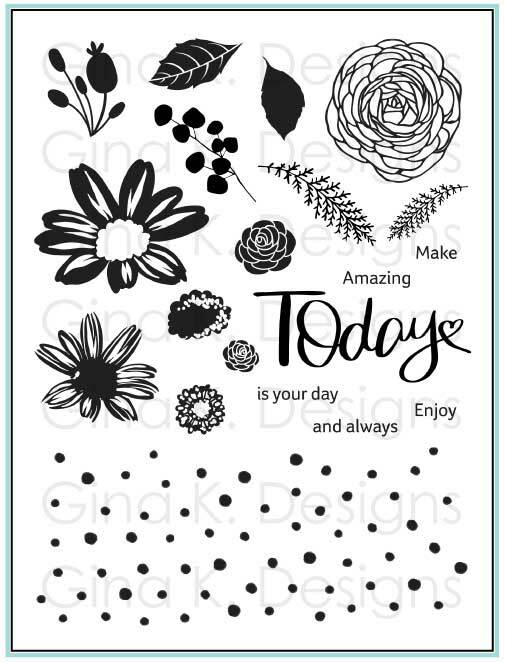 Pretty and cute card designs. These are STUNNING! I Love how you used the flowers and inks! Great ideas. I love how you put the cat on the pattern paper. I tend to shy away from blues for flowers, but your lovely card with blue flowers has inspired me! Thanks so much for sharing all of these!!! Love all your cards and the beautiful colors you used together! Love the layering of the eye glasses. Very nice cards!! Love the colors! These cards are fabulous! Such a great variety. Great cards....love Open Book Set and what you made....thanks for sharing your talents. Beautiful cards! So many fabulous fun ideas thank you for sharing! Fantastic cards! I love the cat - such a great design around it. And the second card is so elegant - love the flower border! Very clever cards, Reema! Great choices of color combos also. You've been quite busy and what a lovely range of cards you've shared today. Thanks for sharing this inspiration with these fun products. I love all of your cards. So pretty! Wowza Rema :) Your cards are awesome!!! Great showcase of the new release :) Thanks! Can't pick a favorite here...each and every one is amazing! Love all of your projects but especially love the blue floral, the glasses and the two "time spent with..." cards.